Barbeque ribs are a global hit, but we've developed a recipe that adds some local flavour to an international delight. Our Peri-Peri Rub di Cardelli Spare Rib Marinade is the perfect complement to a classic dish. This recipe takes the classic steak and chips to a whole new level of flavour. Blow four people away with a main that takes just 50 mins from pantry to plate. Boerewors is tasty and versatile. Put a spin on the traditional favourite with this unique recipe. We love boerewors and we love pie. This recipe combines two of SA’s absolute favourites for a Boerie Braai Pie that’s packed with flavour. When the braai and the kitchen comes together, the result is always delicious! If you want to bring sweet, curry flavours to the braai, look no further than this. Flavours of onion, apricot jam and fresh coriander come together for an eruption of flavour. Special occasions call for extra special measures. 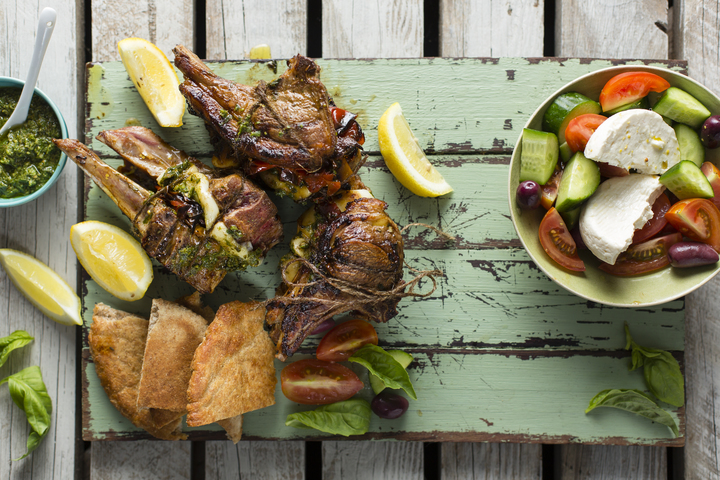 Whip out this lamb rib recipe for a braai that nobody will ever forget. A great chicken flattie takes any braai to the next level. Choose your favourite flavour, get the fire going and enjoy tasty, tender chicken like you’ve never had before. The Italians have given the world many gifts and few are as tasty as pasta. This recipe gives the famous dish a South African twist — by combining it with biltong and preparing it like a potjie! Try it out and be the hero of your next braai. Bacon / Macon makes everything better and kebabs are no exception. This recipe brings bacon / macon and the legendary flavour of rump steak together for an amazing result. Bring these to the next braai and the crowd will go wild! The ultimate boerewors is Kameelhout® boerewors. Experience the boerie at its best with this speciality recipe. The best boerie rolls are made with Freddy Hirsch Legacy® Boerewors. This recipe will ensure a life-changing and thoroughly South African meal for six people. Seared rump espetadas on bay leaf skewers with chunky chips is the perfect dinner party dish. Pesto and mozzarella are known to complement one another. Create your very own Caprese-style grilled chop sandwiches with our recipe.